This is a survey of a seminal and intensely controversial period in British history, from the union of the Crowns of England and Scotland in 1603 to the union of the Kingdoms in 1707. 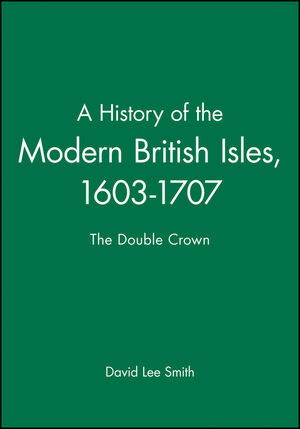 The book explores the intersecting histories of the Stuart monarchies and considers how events in each nation were shaped by being part of a multiple kingdom as well as by their own internal dynamics. Throughout, special attention is given to the personalities and political style of successive rulers. Their role in precipitating two revolutions is examined against the background of longer term constitutional, religious and social themes. In particular, the parallels between James I and Charles II, and between Charles I and James II, are clearly drawn out. David L. Smith has been a Fellow of Selwyn College, Cambridge since 1988. He was a Visiting Assistant Professor at the University of Chicago in 1991, the year in which he won the Royal Historical Society's Alexander Prize. His previous books include Constitutional Royalism and the Search for Settlement, c. 1640-1649 (1994), and edited with R. Strier and D. Bevington, The Theatrical City: Culture, Theatre and Politics in London 1576-1649 (1995). 1. 1603: Union of the Crowns. 3. The Ascendancy of Buckingham. 4. The Personal Rule of Charles. 5. The Collapse of Multiple Monarchies. 6. War in Three Kingdoms. 8. The Restoration of the British Monarchies. 12. Britain under William and Anne. 13. 1707: Union of the Kingdom. * The first volume to be published in a major new textbook series. * Provides a coherent analysis of one of the most turbulent and most popular periods of British history. * Offers thorough analysis of social and political themes within a chronological overview of the period. * Gives full consideration to the 'British' context.